Around the world, indigenous peoples are returning to traditional foods produced by traditional methods of subsistence. The goal of controlling their own food systems, known as food sovereignty, is to reestablish healthy lifeways to combat contemporary diseases such as diabetes and obesity. 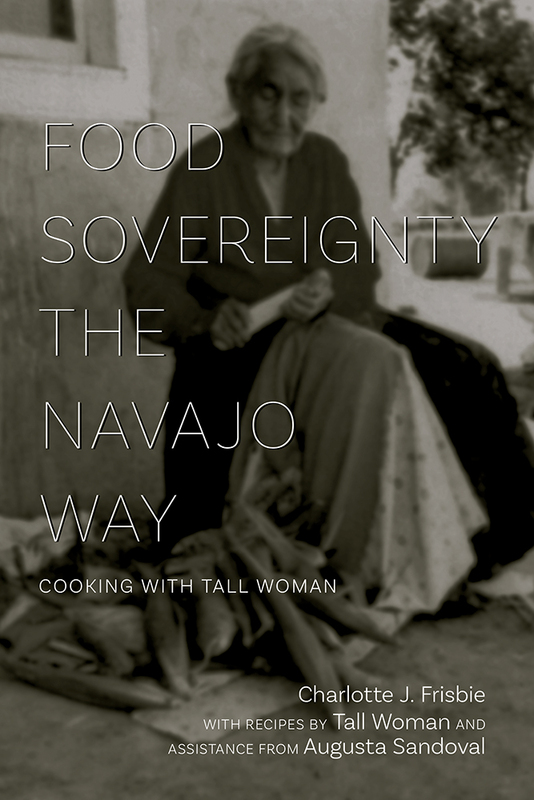 This is the first book to focus on the dietary practices of the Navajos, from the earliest known times into the present, and relate them to the Navajo Nation’s participation in the global food sovereignty movement. It documents the time-honored foods and recipes of a Navajo woman over almost a century, from the days when Navajos gathered or hunted almost everything they ate to a time when their diet was dominated by highly processed foods. Charlotte J. Frisbie is a professor emerita of anthropology at Southern Illinois University, Edwardsville. Her earlier works include Tall Woman: The Life Story of Rose Mitchell, a Navajo Woman, c. 1874–1977 and Navajo Blessingway Singer: The Autobiography of Frank Mitchell, 1881–1967, both available from UNM Press.